Now, there’s a way to a better life experience. Visit About ABLEnow to read about the origins of this groundbreaking program that’s helping thousands of people nationwide dream, save and achieve. ABLEnow accounts are designed to be flexible – easy to manage, easy to contribute to, and easy to use. 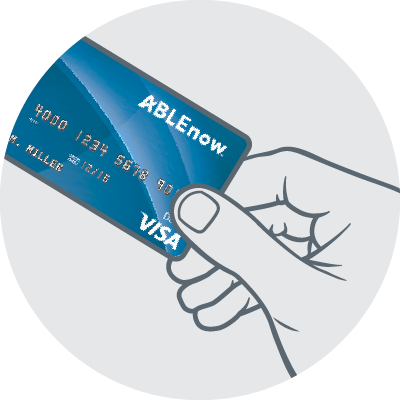 Pay for a range of qualified disability expenses with your ABLEnow Card, available to all account holders at no additional cost. Earnings grow free from federal taxes. In addition, some states may offer state tax incentives. Generally, funds in an ABLEnow account are disregarded when determining eligibility for certain means-tested benefits programs, such as Medicaid and Supplemental Security Income (SSI). For these details, please visit our Frequently Asked Questions. Work with your financial adviser to build an ABLE savings plan that helps meet your specific needs. For our family, [ABLEnow] means being able to put money aside for Addie’s future and not worrying that her Medicaid will be taken away."